Today I want to share other ideas about trees. Once I promised to sister Ummu Karim to give craft idea for tree. I didn't forget it. Now alhamdulillah I find time to write. 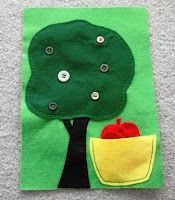 For seasons tree i also loved sister Umm Yusuf's idea button practice on felt apple tree. Here her pictures. For more info you can visit her Coolness of eyes blog. 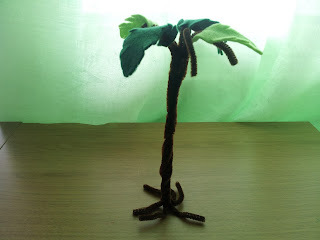 When I saw this felt tree i thought , it'll be good idea for seasons theme. 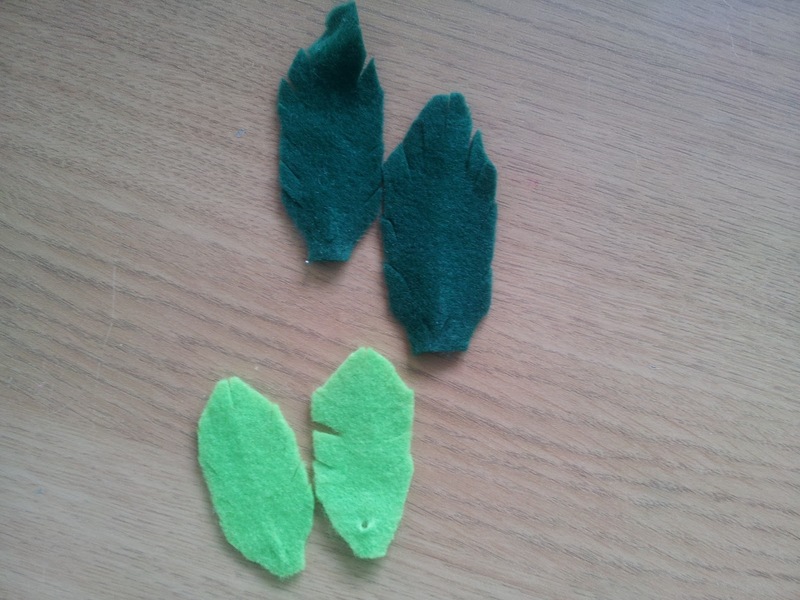 For example we can use felt leaves flowers and snowfleks with button practice way inshaAllah. 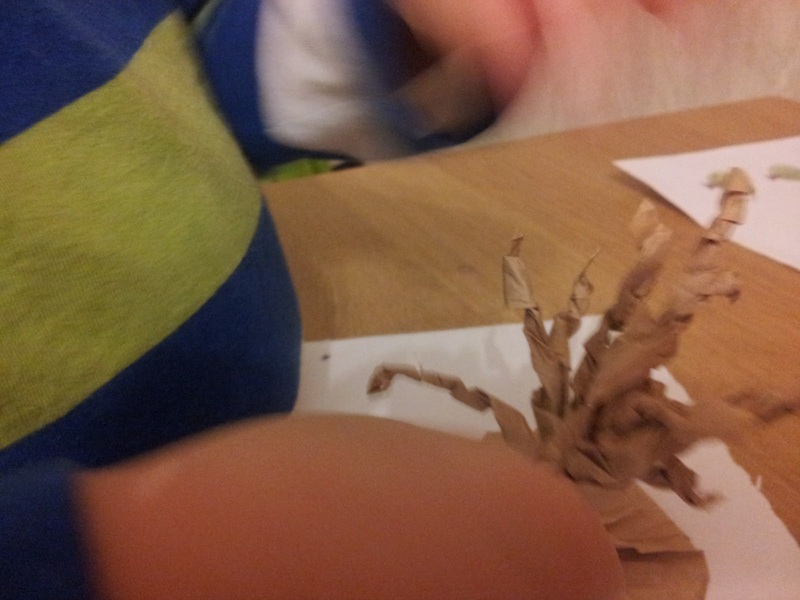 In our seasons theme last year in Fall time we made one fall tree. 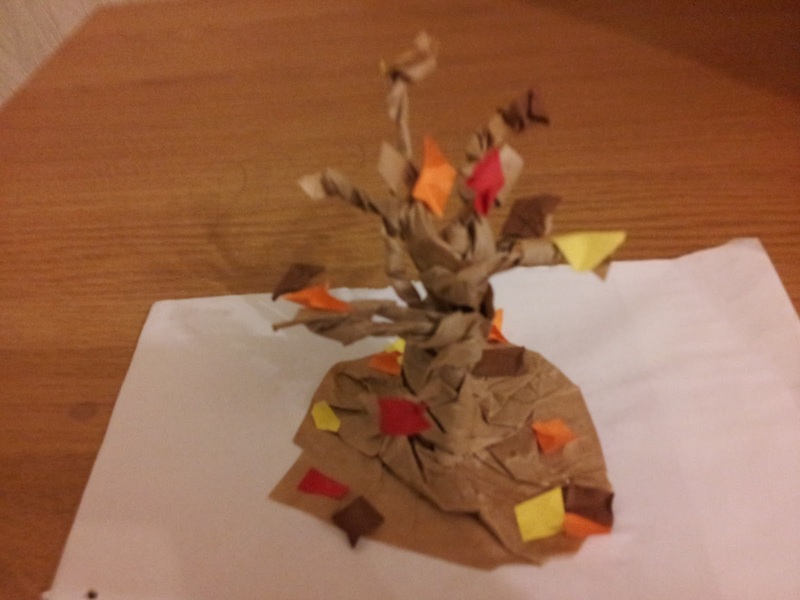 Paper Bag Fall Tree from here. It wast easy for kids mashaAllah. 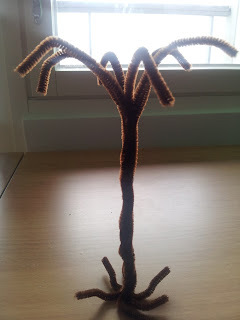 But for this year i planed other tree from pipe cleaners inshaAllah. 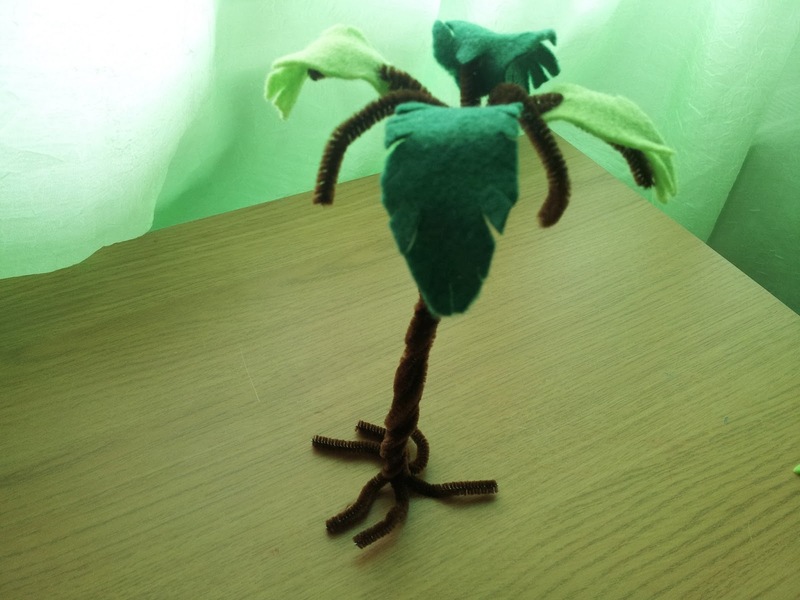 For you sister Ummu Karim i show very simple way to make palm tree. 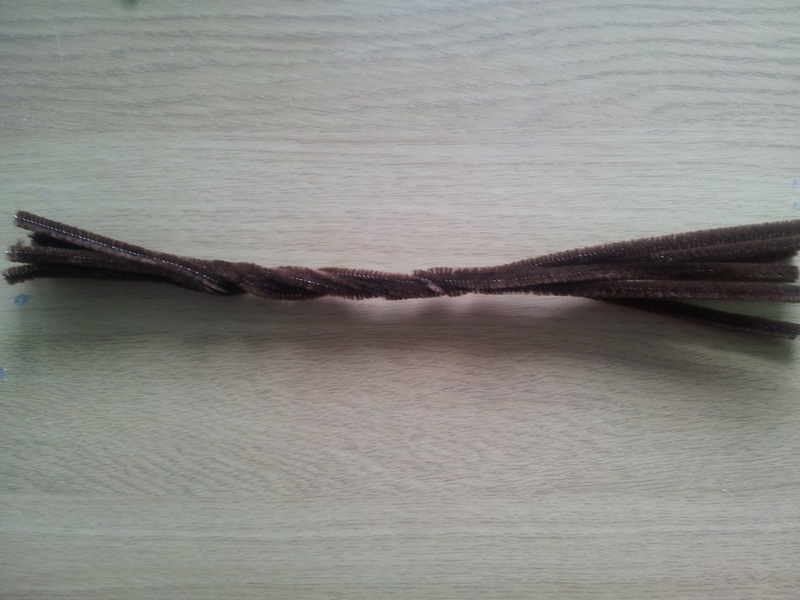 I didn't show it for my kids because i want to keep it for Ramadan inshaAllah. 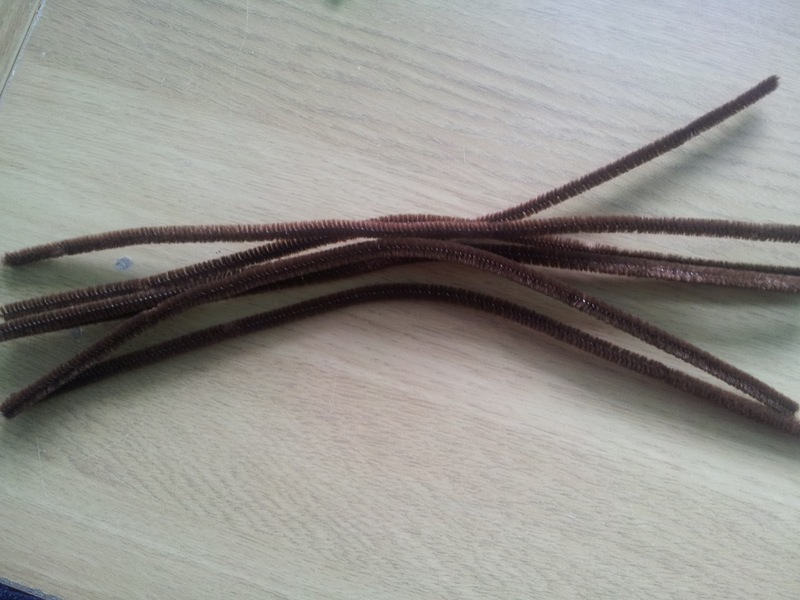 2 free sticks for dates inshaAllah. 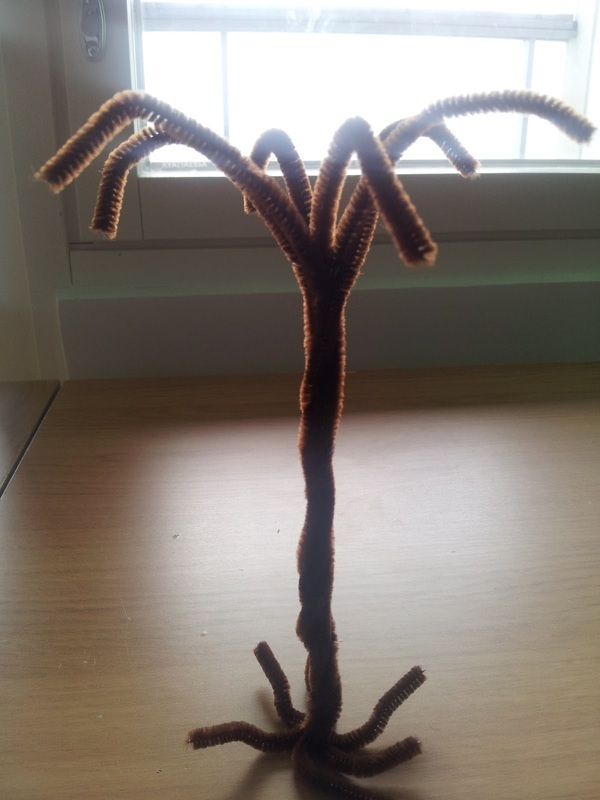 Like this palm we can also make tree and add anything as apples, ,leaves etc inshaAllah. MashaAllah wa barakallah sister your season tree is nice too. 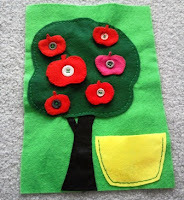 Yes, felt is good to use for many times and kids like it so much alhamdulillah. Assalamu alaikum wa rahmatullahi wa barakatuh dear sister! I try this comment box first time :)! MaaschaAllaah these tree ideas are so great! Maybe You don`t believe, that I just tought that I could use some buttoms to felt in some way - like You`ve read my mind! SubhaanAllaah! I also tought that these palm trees could be used in Ramadan time (I thought that when I made the date palm from felt). I found cheap felt from Kaisaniemi near to Kulttuurikeskus (a cultural centre) Kaisa, but I should buy more..
Wa alaikum assalam wa rahmatullahi wa barakatuh. )))I'm glad sister you liked this post. Barakallahu feefi and Jazaki Allah khair for info!